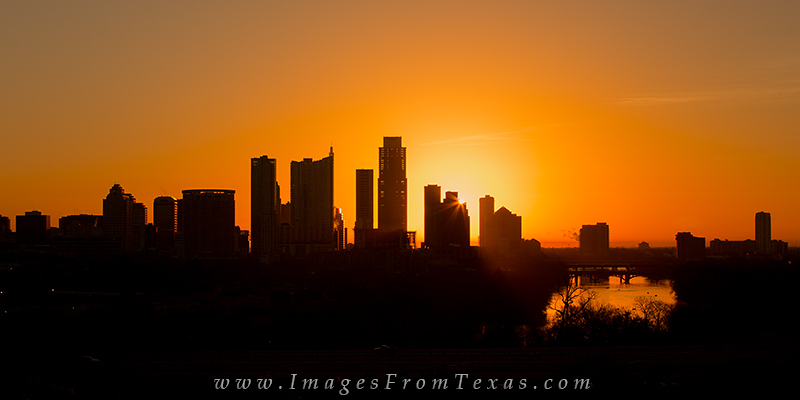 At the moment of sunrise, the eastern sky lights up a brilliant orange over the downtown Austin area. The tallest silhouetted building is the Austoinian. This panorama was captured from the Zilker Park Clubhouse just west of the city. Photo © copyright by Rob Greebon.